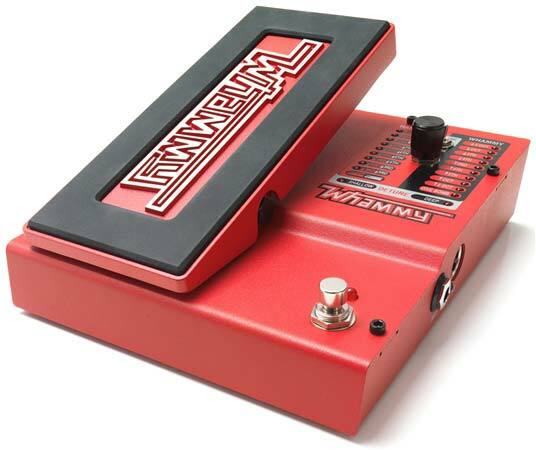 Shop Digitech Whammy Pedal with True Bypass from AMS with 0% Interest Payment Plans and Free Shipping. 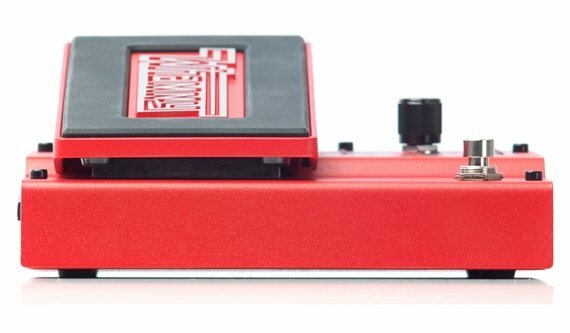 Digitech Whammy Pedal with True Bypass has the classic Whammy sound, and they have added chordal Whammy pitch-shifting and true bypass. Whammy artists have won over 60 Grammys using its unique pitch-shifting sound to enhance their music. Its songs echo the hallways of the Rock & Roll Hall of Fame and generate acclaim on over 700 million albums around the world. 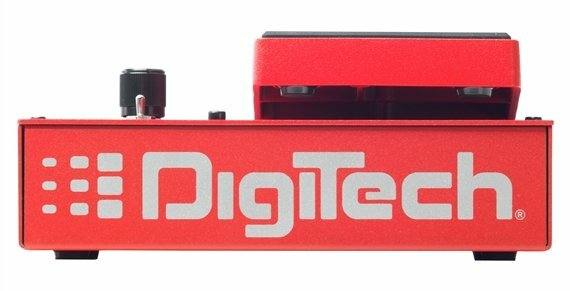 There is no doubt why Digitech Whammy Pedal with True Bypass is one of the most common sights on guitarists’ pedalboards. 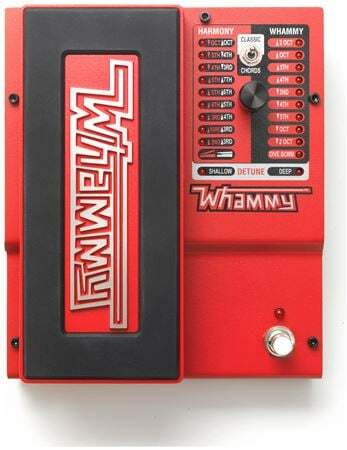 The Whammy can bring new depth to your artistry. Turn your solo into raging, rebellious screams of tone or tame your crowd with highly expressive, ambient chordal bends. Energize your audience with a scratchy note frenzy, bring them in and out of the sound tunnel with musical bursts, or carry them through an existential exploration of full-fretboard pitch translation. 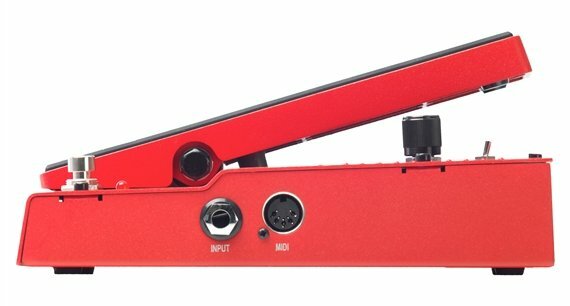 The Digitech Whammy Pedal with True Bypass puts expression into the expression pedal. 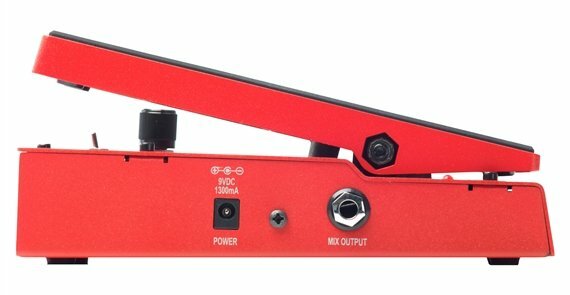 Everything about this pedal is outstanding. I play guitar in a Pantera tribute band and this pedal is exactly what I needed to pull off some of the songs. Tracks flawlessly and sounds killer! The updated Whammy V is the way to go if that’s what you’re looking for. I tried mimicking it using my TC Electronic G Major and an expression pedal with lackluster results. Do yourself a favor and just buy one of these instead. Better than expected, I love it, its worth a Grammy alone! It does what it says and more, the harmonizing effect is worth it alone. Does what I expected, I love it. It's kind of crazy that I have this pedal. I strive to get a clean guitar signal and than use something that is the opposite of that. However, there are times when I need that. Just get away from the usual and do it consistently. That is the key. Other pedal get you away from the norm, but trying to remember the settings takes all the fun away. Here, it is simple and easy to duplicate.